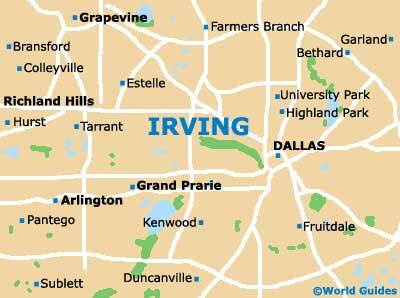 While Irving is not famous for big parks or gardens that are awash with attractions, it is home to a great selection of small municipal parks, where visitors can escape the urban jungle and relax with family or friends, enjoy a picnic or indulge in outdoor sports. Champions Park is a municipal park offering refuge from the urban jungle with its pleasant greenery and basic park amenities that include an exercise station, picnic shelter and tables, walking trails and a children's playground. Centennial Park offers visitors pleasant parkland for relaxing in and a number of amenities including a log cabin, picnic pavilion, founder's plaza and walking trails. 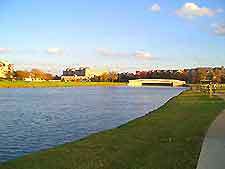 Heritage Park is a pleasant greenbelt area offering relaxing times in tranquil settings. The park's facilities include a gazebo, picnic tables, antique caboose, replica settler's cabin and a replica water tower. The Thomas Jefferson Park features many excellent recreational facilities, which include walking trails, a children's playground area, a large pond, picnic tables, a basketball court and mature trees. At Mountain Creek preserve, visitors can enjoy a good selection of amenities including a picnic shelter and tables, barbecue grills, cricket court and a children's playground. 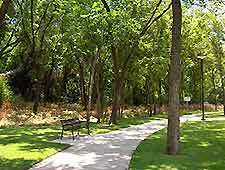 Mountain Creek Preserve is a popular place to relax and enjoy a pleasant picnic. 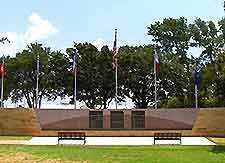 Close to the city of Irving Main Library, the centerpiece at Veterans Memorial Park is the memorial itself, which names 76 Irving residents who lost their lives serving their country. Veterans Memorial Park covers around 2 acres / 0.8 hectares and features many beautifully landscaped areas. 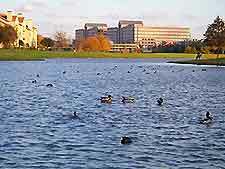 Covering around 2 acres / 0.8 hectares, Millennium Park stands next to Irving Boulevard and is a relatively modern park, home to the striking Millennium Fountain.